How can art bring people together during a time when we are divided? 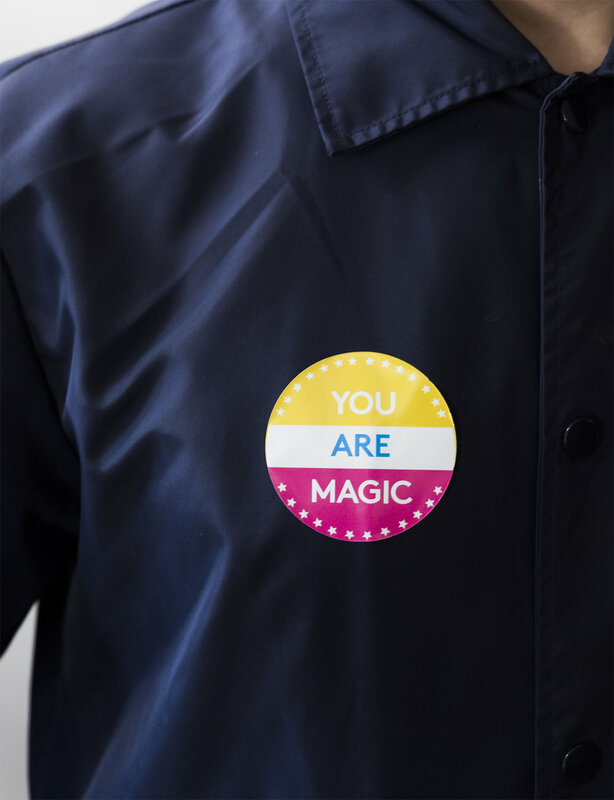 During the weeks preceding the 2018 United States midterm election, I worked with artist Alicia Eggert to stage a multi-site installation of their interactive sculpture You Are Magic. 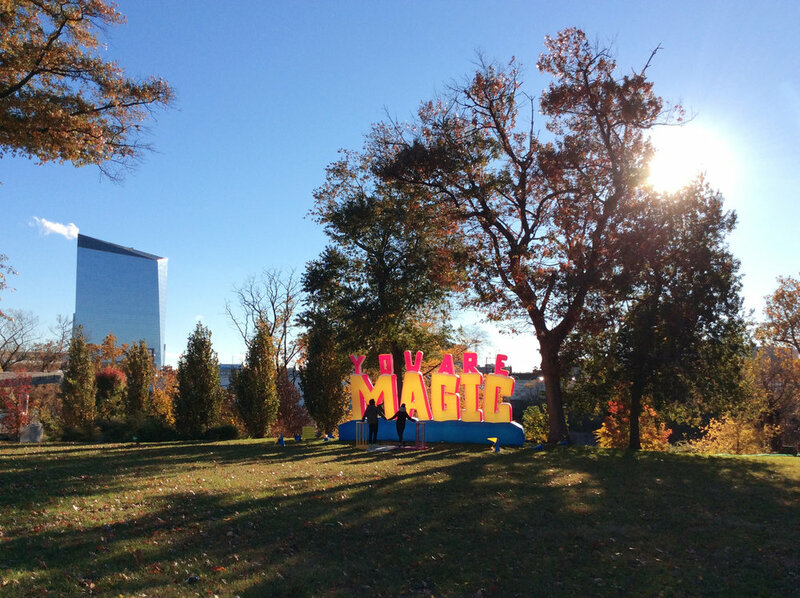 You Are Magic is a large scale inflatable sculpture that inspires wonder and evokes the power of collaboration. The deflated artwork is brought to life when two people hold hands, each person touching one of the sculptures handprint kiosks. 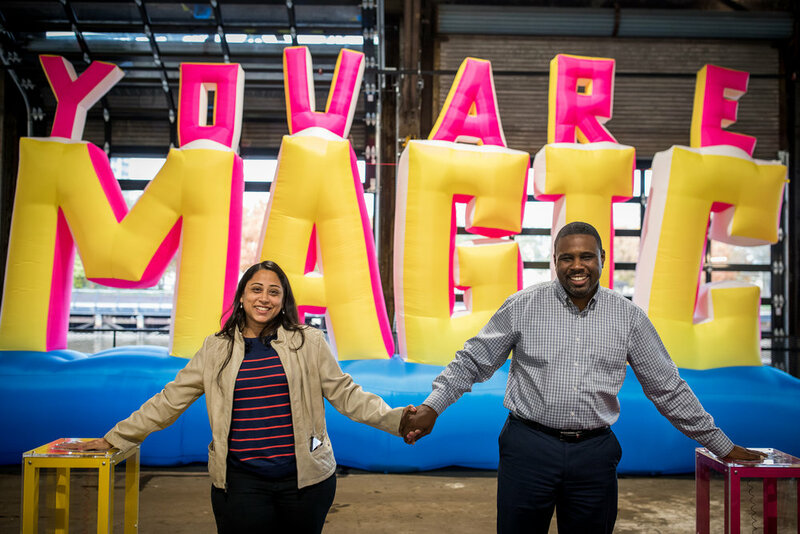 The sculpture fills with air, growing larger and brighter the longer the participants hold hands, expanding into the words "You Are Magic”. As soon as they release their hands, the circuit is broken, and the sculpture deflates into a crumpled pile of fabric on the ground. 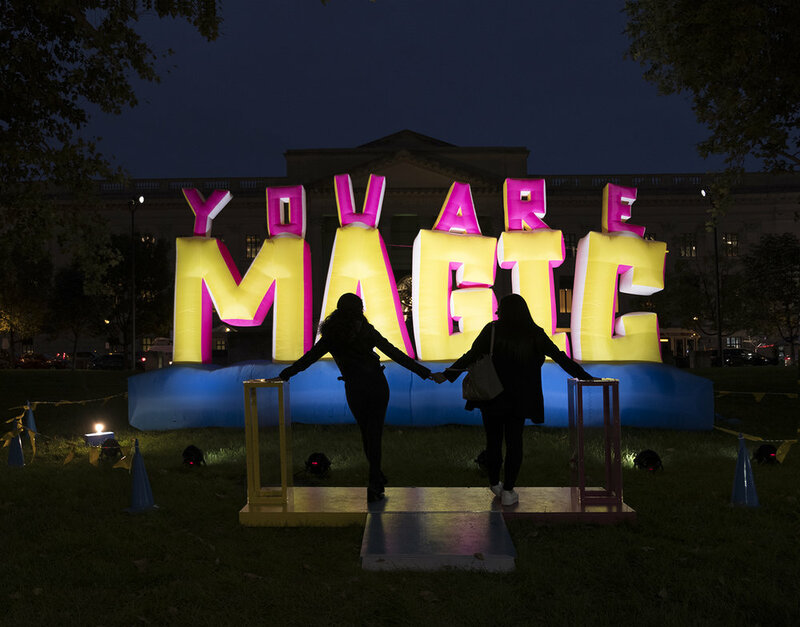 You Are Magic was installed on the Benjamin Franklin Parkway,the Delaware River waterfront, and Schuylkill River waterfront in order to connect individuals at every edge of Philadelphia. Project Partners: Mural Arts Philadelphia, Cherry Street Pier, Fairmount Park Conservancy, Arlington Art Truck, Parkway Council Foundation, Philadelphia Parks and Recreation, and Schuylkill River Development Corporation.